October 28, 2010  Kenya’s foreign minister has been forced to step down over a questionable land deal -- the second sign this week that investigators are taking aim at Kenya’s notorious corruption problem. October 27, 2010  Somaliland, which declared independence from Somalia in 1991, is trying to set itself apart from the violent, war-torn images of Somalia. The territory has set up a bicameral legislature, largely disarmed its people and is attracting increased aid from the United States. October 7, 2010  A high-speed tour of the city does not include famous landmarks that inspire national pride. Instead, it's filled with what used to be and places where terrible things happened. 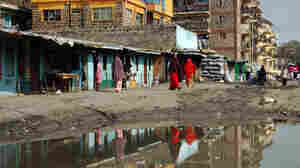 October 6, 2010  Eastleigh, an area in Nairobi, Kenya, is home to tens of thousands of refugees from neighboring Somalia. Known as "Little Mogadishu," Eastleigh is becoming a new recruiting ground for al-Shabab, the militant group that aims to create a strict Islamist state in Somalia. October 5, 2010  Since April, European Union soldiers have been training Somali recruits to fight Islamist insurgents trying to topple their country's beleaguered government. The trainers are finding that the soldiers -- whose salaries are paid by the U.S. -- have a lot to learn about warfare. October 4, 2010  Mogadishu, Somalia's capital, is a front line in the global war against radical Islam. A group known as al-Shabab that claims links to al-Qaida wants to create a strict Muslim state. 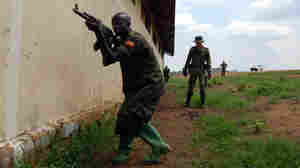 About 7,000 African Union peacekeeping troops are trying to stop them. September 21, 2010  The prime minister of Somalia was forced out Tuesday amid political infighting, complaints of corruption, and increasing danger in Mogadishu. A look at the failures of the U.S.-backed regime in Mogadishu, where the government is doing virtually nothing as security worsens. September 20, 2010  Somalia hasn't had a fully functioning government in nearly two decades. 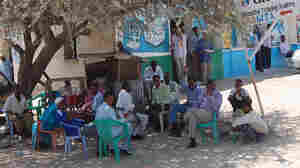 The government controls just a few blocks of the capital city Mogadishu. Militants are trying to overthrow that government and set up a strict Islamist regime. 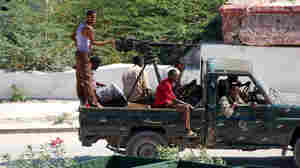 The insurgents, called al-Shabab, have staged a month-long offensive that has included suicide bombings. 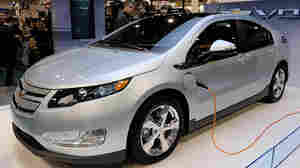 August 12, 2010  In a few months, GM plans to launch its most anticipated vehicle in ages: the Chevy Volt. After years of hype, the Volt will join Nissan's Leaf as the nation's first mass-market electric cars. And everyone in the auto industry will be watching to see what works, what doesn't -- and if America's automotive future is electric. July 15, 2010  Toyota says it has found dozens of sudden acceleration cases that were caused when drivers mistakenly put their foot on the gas pedal, instead of the brakes. Toyota says the evidence lies in the cars' onboard data recorders. July 14, 2010  For the second time in four years, Congress is considering tougher mine safety laws after 29 men were killed this spring in a massive explosion in West Virginia. Mine Safety and Health Administration director Joe Main told lawmakers the bill would bring "a culture of safety" to the industry. July 2, 2010  The Labor Department said Friday that U.S. employers cut 125,000 jobs in June, bringing the jobless rate to 9.5 percent -- its lowest level in almost a year. The unemployment rate for May was 9.7 percent. June 5, 2010  Despite some positive signs in the economy, employers remain reluctant to hire. That fact was hammered home in May when the private sector added a disappointing 41,000 new jobs. Many more had been expected. The overwhelming number of new jobs last month were temporary census positions. May 27, 2010  Miners said Massey Energy often fails to take basic safety precautions until an inspector from the Mine Safety and Health Administration approaches underground. The inspection process is designed to prevent the kind of explosion that killed 29 men last month in a Massey coal mine in West Virginia. 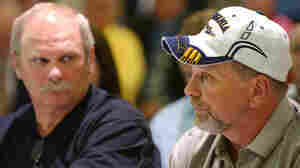 May 24, 2010  Some families of miners killed last month in a West Virginia explosion told a congressional panel that they and the miners repeatedly warned the mine's owner about safety problems. Relatives said employees who expressed concerns about ventilation systems were fearful that they would lose their jobs.